Behind a successful organization, there is always a team of Superheroes working hard & in harmony for the benefit of the organization. Sometimes it takes much more than just employing their skills and hoping that somehow they will figure out how to work things out together as a unit for the betterment of the organization. 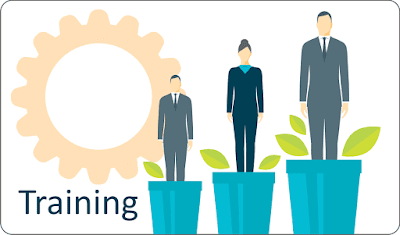 In this competitive era, an employer understands the importance of training and development to boost the morale of the employees and ensure the organizational success. On the Job training and development programs is one of the best tools used to train and then extract the very best from employees. Training can come in many different forms and can be very beneficial to your business where employees increase the capacity to adopt new technologies and methods, helping staff develop their skills and knowledge, thereby leading to improved performances and therefore increased productivity. Increased Productivity -Employees who are well trained are more likely to produce higher-quality output the first time around, thereby minimizing mistakes. Employee Engagement -Training is a good opportunity for employers and staff to get to know each other better, which can lead to stronger working relationships. Healthy relations at work- Corporate training tries to bridge the gap between one employee and another to create a better understanding of each other thus promoting harmonious working beyond the differences. Increased Efficiency – Training can be done as per the specific needs and requirements of the organization, resulting in increased efficiency in terms of meeting the market demands. Stay ahead of the competition – Training for working professionals also comes in handy in helping with changed management and market innovation to ensure that your company stays ahead of the competition.